If Hillary Clinton or Carly Fiorina succeeds in their 2016 bid, will Bill Clinton or Frank Fiorina really be known as the First Gentleman? It seems an oddly ornate title. Soon after Washington's first inauguration in April 1789, suggestions in Congress that he be known as "His Excellency" or "His Highness" were rejected. The title of "the president" found favor, and his redoubtable wife Martha was known, simply, as "Mrs. Washington." The title of First Lady was a much later nineteenth century invention. The Washington Post in 1889 still felt the need to inform readers: "Mrs. Harrison, wife of the new President... will, during her husband's term of office, be known as the 'First Lady of the Republic.'" Whether or not a woman becomes president of the United States in 2016, maybe it's time for new twenty-first century conventions: Michelle Obama to be the last First Lady, and her gorgeous white chiffon gown to represent the last item donated to the First Ladies Exhibit at the Smithsonian. All president's consorts from January 20, 2017 onward could be titled, formally, Presidential Partner. Who knows whose inaugural outfit -- white tie and tails, or sequinned gown -- would kick off a new Presidential Partners Smithsonian exhibit? The title has a very good provenance. 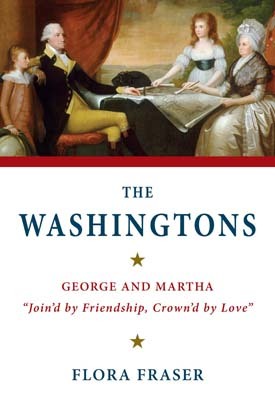 When George Washington had been married a short time to Martha, he wrote to a friend that he had acquired an "agreeable partner" and a "consort for life." And so indeed it proved. She survived him and, in one of her obituaries, was deemed to have been a "worthy partner" to the president. Informally, the First Lady has more often than not been known as "Mrs. Bush," "Mrs. Clinton" and "Mrs. Obama," just as Martha was "Mrs. Washington" to all. If Donald Trump, Bernie Sanders, Jeb Bush or Ben Carson wins the White House, their wives will also be known informally thus, in line with Founding Father principles. Ruminating on other candidates, "The President and Mr. Fiorina" presents no difficulties. If Mrs. Clinton succeeds, and etiquette dictates that Bill Clinton be known as president, "the President and President Clinton" is a delightful pairing. Although the acronym FLOTUS is engaging, no one thought the worse of Martha Washington because she had no title of First Lady. She forged the role of presidential spouse capably and efficiently during her husband's two terms. Abigail Adams, succeeding Martha, wrote: "To be the Successor of Mrs. Washington and to make good her place will be an arduous task." Other Presidential spouses were grateful to Martha. Eleanor Roosevelt, who blazed her own trail at the White House, said admiringly in a 1935 radio broadcast that Mrs. Washington was a pioneer and a maker of precedents. Recently Mrs. Roosevelt lost out to Harriet Tubman in Womenon20s.org's popular poll with the aim of putting a woman on the 20 dollar bill. There's now a campaign to put Eleanor on a new 10 dollar bill. Though her portrait appeared on a silver dollar certificate in 1886 and she was the first American woman to feature on a postage stamp in 1902, Mrs. Washington likewise currently lacks proper national commemoration. It would be a lovely mark of respect for her if the 2017 White House spouse were accorded the title Presidential Partner, looking back to Martha's relationship with George. Martha was as passionate about the Revolutionary cause as her husband. She spent every winter of the eight-year war with George at headquarters. She spent another eight years, during his two presidential terms, receiving and entertaining foreign dignitaries, senators, congressmen and state governors. She was, in my view, as much a Founding Parent of the republic as her husband and his colleagues. But I'm biased. Brit though I am, I've just spent five happy years writing about the Washingtons' marriage. The title of Presidential Partner for future White House spouses would be a fitting mark of respect for the invaluable support they give the officeholder. At the same time it would honor a great first presidential partner.